Stallion Alert - Record Collecting - Portland, OR: Spring Break Record Shopping, Part Ten: Jackpot Records/Crossroads Music - Portland, Oregon. 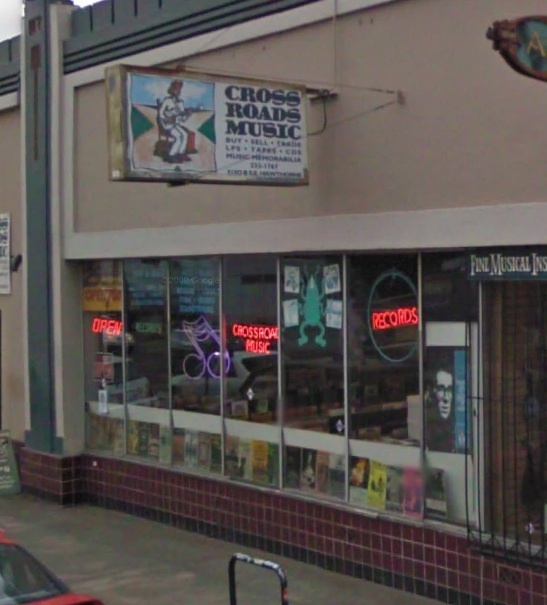 Spring Break Record Shopping, Part Ten: Jackpot Records/Crossroads Music - Portland, Oregon. Pocaroba pointed this out to me, and though I have both of the songs (the b-side, "Better Things," a Kinks cover, is on the import CD single of "I Don't Want to Hurt You" from the same era), I was down to pick this up for five bucks. 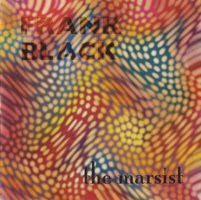 My Frank Black 7" collection is spotty at best. Then we flipped it over and noticed that it was #10 out of 3000, and that sealed the deal. Looks great next to my "Men in Black" single. So, not surprisingly, that was all I got at Jackpot. We had some more time to kill (aren't vacations great? ), so we walked down the road to Crossroads Music, which, as I've probably stated on here somewhere before, is probably my favorite record store in town. It's huge, there's an incredible variety, and it's so closed off from society that you really feel like you can lose yourself in there. Sorry for the terrible photo. But it comes in a plain white cardboard sleeve and that's not very exciting. BKITW releases were always so weird, and this one is no exception. There was no vinyl officially released for this EP. 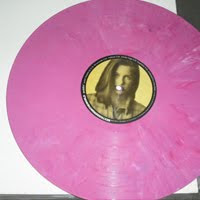 This is the promo, and it's pressed on ultra-sweet pink vinyl (as you can see). Not sure what sense that makes. Regardless, other than this other promo 7" I've been looking for (but not very hard), this was one of the last Best Kissers items I need to complete my sad little collection. The crazy thing is, I almost paid $15 for it at a shop when we were up in Seattle. Glad I didn't. Got it for about half that at Crossroads. Boom. Next up: we wind down at Everyday Music.